So, you think you want a hedgehog. When deciding whether or not the hedgehog is the perfect pet for you it’s important to take into consideration certain aspects of our prickly friends that may make them a less than ideal pet for the casual owner. 1. Hedgehogs are Primarily Nocturnal. While hedgehogs can technically be considered diurnal, a bit active during the day as well as during the night, they are technically nocturnal animals. Although they can be taught to be more active during the day, this is very much not advised. They are most comfortable living the way they are genetically meant to. Hedgehogs tend to begin being more active around 7PM, with activity truly spiking around 10PM through to 5AM in my experience. All night they will be rooting around in their hedgie homes and running on the wheel. While some wheels can be very quiet, Carolina Storm Wheels being an excellent example, they still will be noisier than you are used to. Can you live with the noise and having a pet active at night time? Does this fit your lifestyle? 2. 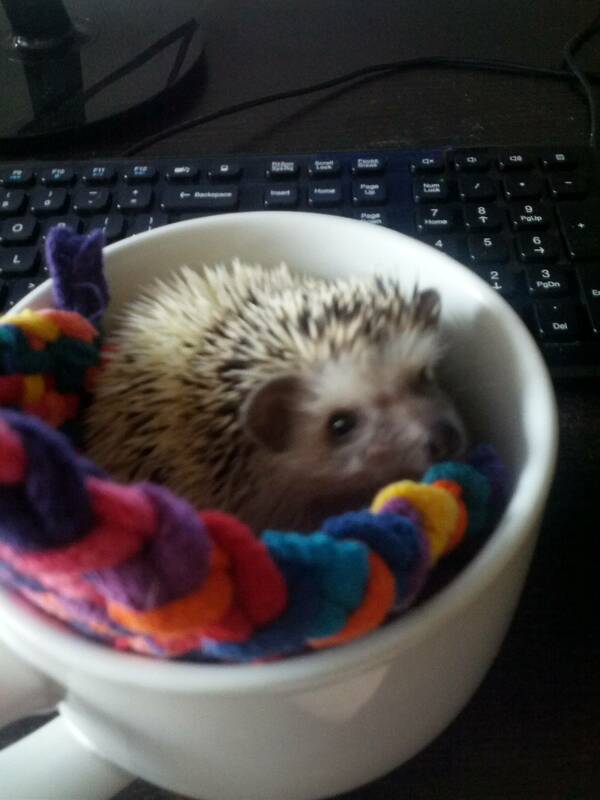 Hedgehogs are Exotics (and require specific care). There are several important things to consider when caring for a pet hedgehog. Due to the fact that these are African Hedgehogs, it’s important to remember that their natural environment is one much warmer than most of the US states where they’re popular. It is dangerous, and even deadly for them to reach temperatures under 70 degrees Fahrenheit and over 80 degrees Fahrenheit with most people reporting hedgehogs at their most active and comfortable around 76 degrees or so. In addition to this their diet is one not yet well established. While there are several hedgehog specific foods out there, these tend to be both ill-designed and expensive compared to giving them a primarily cat food diet. 3. Hedgehogs Are Not Domesticated. It was only in the 1980s that African Hedgehogs began to be imported as pets in America. While, if bought from a good breeder, they could be deemed tame they are by no means yet domesticated. They retain a good degree of wild behavior, and as such are not necessarily the best choice for someone with little patience. Hedgehogs can be very cuddly, very affectionate, and very entertaining pets. They can become very trusting of humans, but will always be a bit wary of strangers, especially if not socialized well when young. As pets, hedgehogs require patience, persistence, and a good degree of understanding from their owners. Unlike dogs and cats, they will not immediately be the cuddly pet happy to be woken up at any time and be around you. Like anything good in life, they require time and effort to reap the best rewards. Keeping all this in mind, is a hedgehog right for you? Seriously ask yourself this before seeking one out, and do your research beforehand! 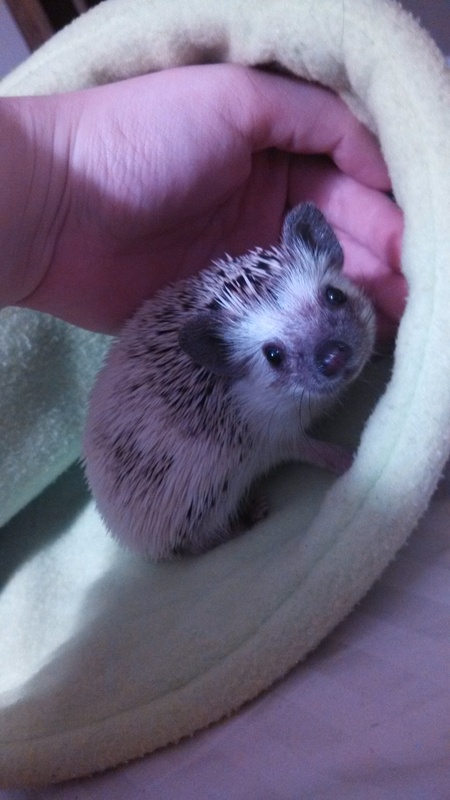 Puca is an African Pygmy Hedgehog. While the word Pygmy implies that the hedgehog is smaller than a normal member of the species, for the African Pygmy Hedgehog that is not the case. These African Hedgehogs are exactly the size that they are meant to be. They are the smallest of the hedgehog species, generally being between 15 – 25 centimeters (5.9 – 9.8 inches) in length though some have been measured up to 12 inches in size. Their weight averages between 250 and 600 grams (8.8 – 21 oz). Females generally are larger than the males of the species. Contrary to popular belief their legs are not short and stubby, but actually rather long and elegant averaging at 7.62 centimeters (3 inches) long. The African Pygmy Hedgehog, also called the Four-Toed Hedgehog, is the only one of its species that has only four toes on each foot. While there are anomalies within the species where the hallux may be slightly formed, it’s unusual enough to retain this distinction. A well bred hedgehog will have large ears, a short muzzle, and long whiskers. it will have 36 teeth, the most notable of which are little ‘fangs’ at the front on the upper and lower jaw. Unlike rodents, the hedgehogs teeth will not continuously grow throughout its life, but are fully grown around the time they finish weaning. If fed too much hard food, or chewing on too many hard things, the teeth /will/ chip which can be a problem. 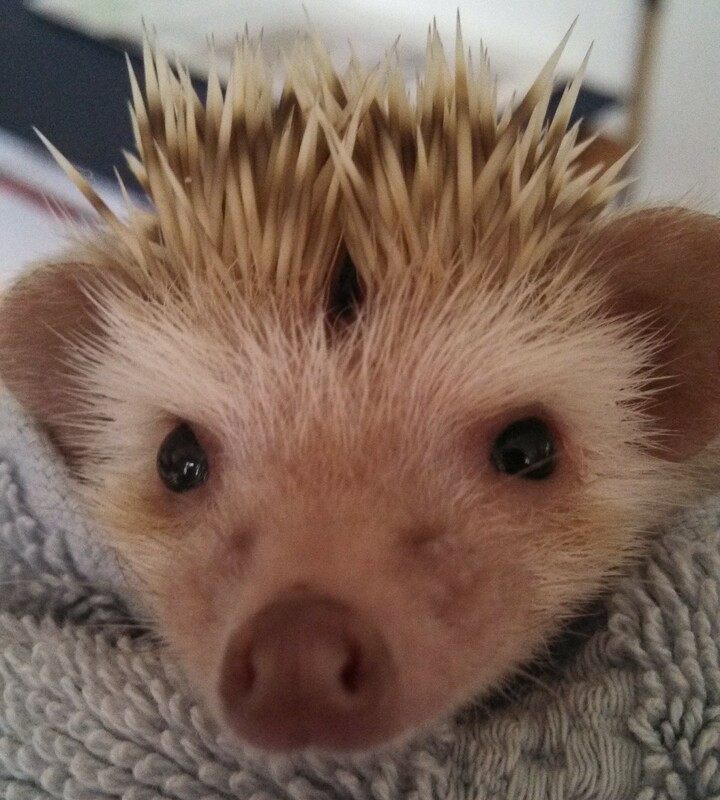 In the wild African Pygmy Hedgehogs are typically white or cream with gray or brown banding. Their fur is occasionally speckled, with a brown mask, and the underside and legs are white in color earning them the name of white-bellied hedgehogs. In captivity the hedgehogs have a wide variety of colors – 92 variations thus recorded – including everything from split facial masks, badger stripes, and even pirate patches on occasion. What exactly is a hedgehog? The question may seem simple, but it’s been debated for a rather long while. Here in North America, where there is no native hedgehog population, they commonly get mistaken for porcupines and vice versa; in Europe they’re seen as a cultural icon. Regardless of where they are there is one thing for certain. They’re cute. Impossibly so. They’re also incredibly adaptable. It is now believed that hedgehogs have been around for over 75 million years, and possibly as long as 100 million. To put it into perspective the hedgehog lived alongside the dinosaurs, sabretoothed cats, woolly mammoths, and dodo birds. They were worn on amulets in ancient Egypt to encourage fertility, and viewed as a delicacy in ancient Sumerian culture. One of the first recorded recipes, in fact, was a way to eat a hedgehog. So, what is a hedgehog? Scientifically speaking: they’re in the Class Mammalia, Order Insectivora, and theFamily Erinaceidae. They have no living relatives now, although some believe they might be related to the shrew and vole. What does this mean for the layperson? It means that the hedgehog is not in fact a rodent, but rather an insectivore – the most ancient of mammals. They are true omnivores, subsisting primarily on insects, slugs, spiders, snails, worms and some small greens. Perfect for the English countryside, where the European Hedgehog has lived for hundreds of years. The most commonly seen species of hedgehog outside of Europe is the African pygmy hedgehog, or simply the African hedgehog. A hybrid of Atelerix albiventris and Atelerix algirus the African hedgehog is notably smaller than its European cousin. They come in a variety of colors and markings since they first began to be tamed, and are easily identified by their four toed back feet and their white furred bellies. African hedgehogs are native to Senegal in western Africa across to southern Somalia and Tanazania in the East. They’re one of a believed fifteen various hedgehog species scattered through Africa and Eurasia, though some believe there to be even more species. However many species there may be, they’re certainly becoming a popular pet both in the U.S. and the UK.